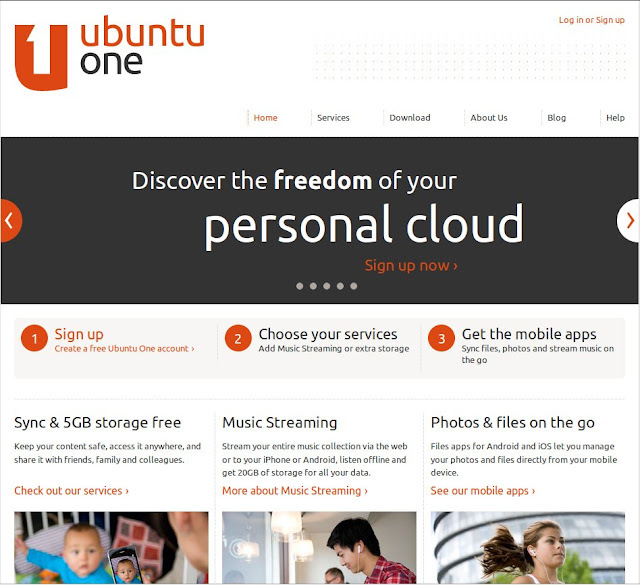 Ubuntu One: Enjoy your content, your way, wherever you are. Free. Paid storage comes in 20GB increments at $2.99/month or $29.99/year, the Music Streaming service https://one.ubuntu.com/services/music/ (streaming, playlists and offline listening) is $3.99/month or $39.99/year. You can get two months free on Music Streaming and Storage when you sign up for 12 months. Now, if you are a account holder, free or paid, you can use the new link on the service's web dashboard to recommend it to all your contacts, via Twitter, Facebook or email. You send them your unique referrer's code, which they can use to sign up for the service. For each one who signs up, they get a free 5GB account with an extra 500MB and you get a 500MB boost for the referral, free. There is a limit of 40 invites, but that still gets you up to 20GB free. 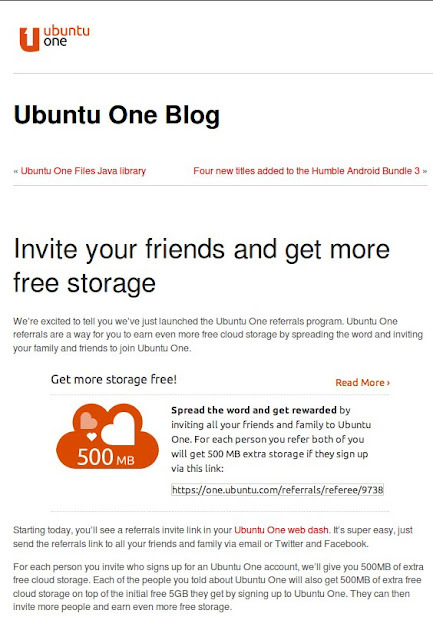 Since its' humble beginnings more than two years ago, UbuntuOne has matured into a reliable and effective cloud storage service that runs unobtrusively in the background.